On most days, Amazon’s rolling list of daily deals includes few tech-related products that are worth looking at. If you dig hard enough, you’ll typically find a decent discount on a charger or TV or pair of headphones, they just don’t typically show up in bundles. Today, though, the retailer has a bunch that may be worth a glance if you are interested in spending some cash on gadgets. If you want to take your non-smart TV and make it somewhat smart, you can pick-up Amazon’s own Fire TV for $15 off. 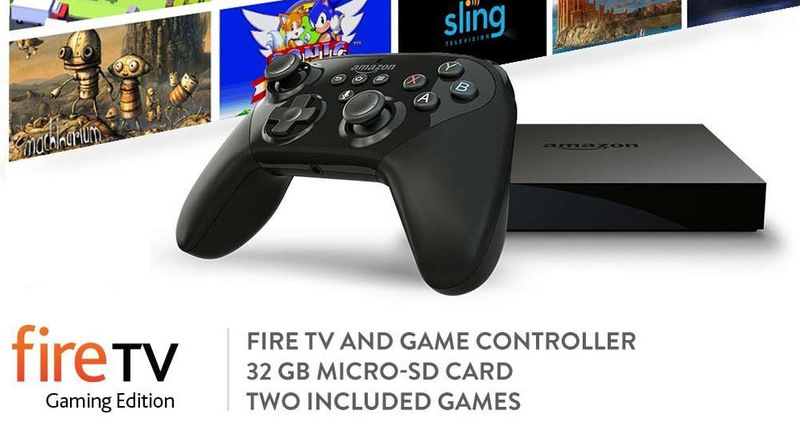 That discount is on either the regular Fire TV or the Fire TV Gaming Edition, which includes a gamepad, 32GB microSD card, and two games. As for other deals, TaoTronics’ Bluetooth sport headphones (ear buds) are down to just $13.99. While these aren’t going to be on the quality level of something like a Jaybird product, they would make for a decent low-priced Bluetooth headset for on-the-go travels or the sweat-filled workout. They have a 4-star rating with almost 1,600 reviews. Finally, Aukey’s line of Quick Charge 2.0 products has all been steeply discounted. You can grab a single port wall charger with QC 2.0 for $9.49, 5-port QC 2.0 charging station for $17.99, or a 4-port QC 2.0 car charger for $9.99.